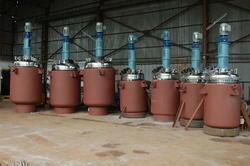 Our range of products include chemical reactor, chemical heat exchanger and shell and tube heat exchanger. 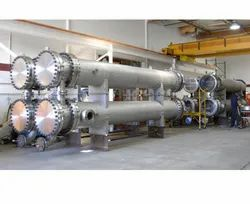 We manufacture highly efficient Chemical Reactor available in several designs including electrical, hot oil and steam heated. The product is widely used in various industries like medical, building material, chemical, paint, resin, food etc industries. It receives appreciation from our global clients for its easy operation, study construction, leak proof, and durability. 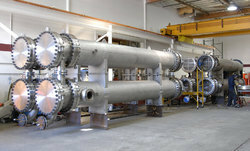 We are engaged in offering our clients a broad array of Chemical Heat Exchanger in the market. Precision engineered from the high grade of raw materials, our such equipment are extremely efficient in providing uninterrupted lifelong services. With enriched industrial experience and knowledge, we are providing an excellent range of Shell and Tube Heat Exchanger. Looking for “Chemical Process Equipment”?